We offer paper cores as per their diameters, Length, thickness etc.. also as per the availability of color paper. We offer colored paper tubes as per customer's requirement. We are exporters of these products and four products is highly praised by nationally and internationally .Offered product is designed by our team of experienced professionals, using latest technology. Our cores are highly applauded for their compact design, reliable performance.nath Udyog offer to our clients superior quality Paper Cores. Due to high quality . These products are available in market at most economical rates. Our products are highly appreciated by our clients in the market. 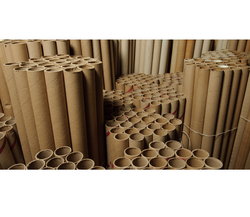 Leverage on our vast industry experience, we are involved in offering a wide range of Paper Core Tubes. Our product is manufactured from optimum quality raw material in accordance with set market standards. We offered this product to our customers in various sizes and thickness, these container tube are used in many in packaging industries. Moreover our esteemed clients can avail offered Paper Core Tubes from us at nominal prices. 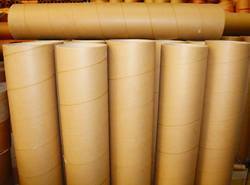 We are manufacturer and exporters of Paper Cores as per customer specification. We offer paper cores as per their diameters, length, thickness etc. We are exporters of these products and our products is highly praised by nationally and internationally. Looking for Paper Cores ?